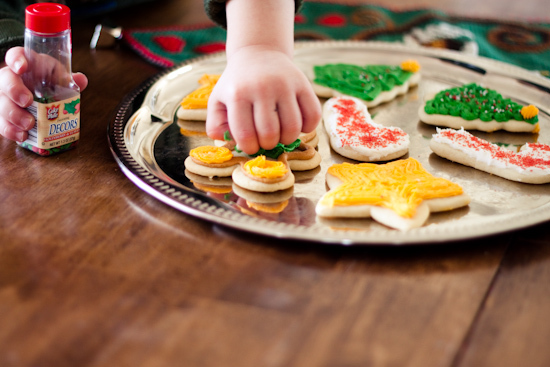 Baking and decorating sugar cookies is one of my favorite Christmas traditions. When I was growing up, my mom would bake a batch or two and then me and my 4 siblings would have a blast decorating them with buttercream frosting and sprinkles. My husband and I have been married for over 5 years, and I'm proud to say that we have continued this tradition (besides the caroling) every year! 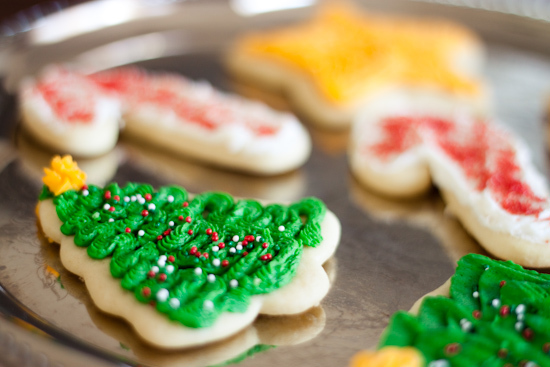 Go HERE to get my Sugar Cookie recipe, and HERE for the Buttercream frosting recipe. 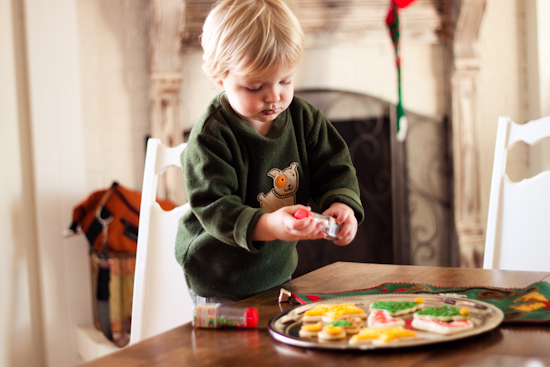 We made sugar cookies and decorated them last night! Yours are much prettier than ours are hah! I love this tradition! We do this with my grandparents every year. What BEAUTIFUL photographs, I'm in love with them! 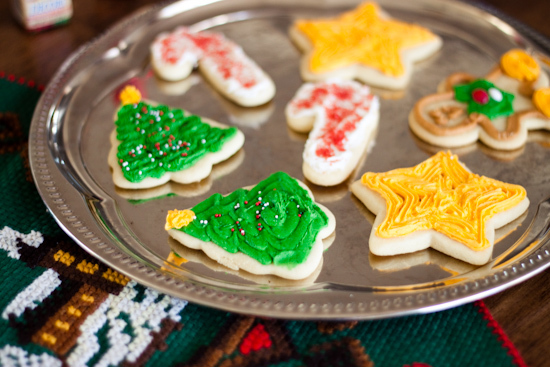 these are so cute, baking cookies during the holidays is such a fun tradition. I made sugar cookies last night and also did a candy cane, Christmas Tree and star! I have to tell you, I learned an AWESOME tip from Alton Brown on the Food Network. 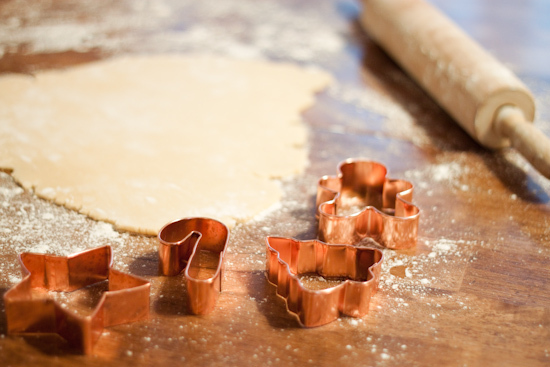 Instead of using flour to roll your dough in, use powdered sugar. It prevents the cookies from becomming to gluteney, if that is a word and is SOOOO much easier to clean up off the counter. No gooey mess. Just thought I would share! Your little guy is so cute! 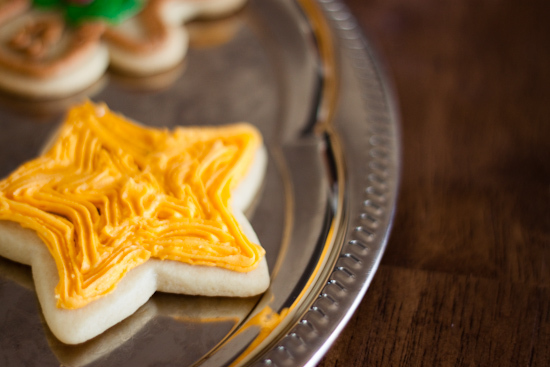 I need to get on the sugar cookie making ASAP! They look divine! these photos are beautiful and your son is super cute!